Our psyche is a mysterious entity, sometimes plagued by fears and insecurities that blind our vision, our goals, and our future. This 2007 adaptation of Katherine Paterson's 1977 book invites us to keep our minds open, and let it lead us to our goals, regardless of what our eyes might tell us. 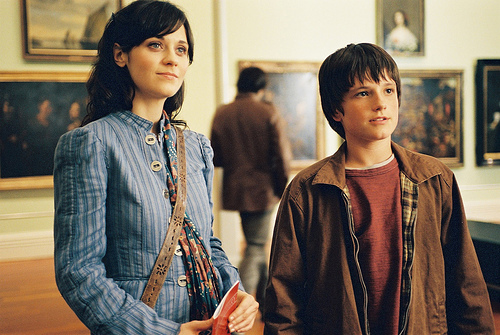 Bridge to Terabithia follows Jesse Aarons (Josh Hutcherson), a fifth-grader living in Virginia with his parents and four sisters. Jesse is subject to constant bullying in school, plus is also forced to push aside his artistic passion because of the financial struggles at his home. This all changes with the arrival of new student, Leslie Burke (AnnaSophia Robb). Not only do Jesse and Leslie become best friends, but Leslie also challenges Jesse to look beyond the struggles that he faces every day, and keep his "mind wide open". As they play around their houses, they find a rope dangling above a creek. After swinging across, they discover an abandoned treehouse on the other side. They turn the place into their "castle", a refugee from the outside world where they can let go their fears and be themselves. 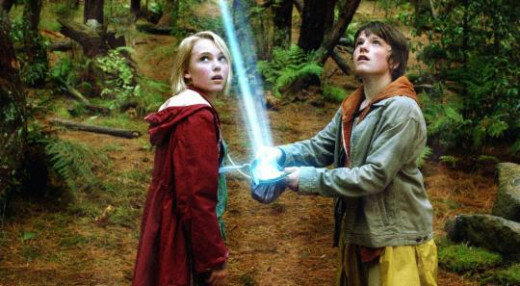 Leslie christens the place as Terabithia and declares herself and Jesse as King and Queen of their imaginary kingdom. 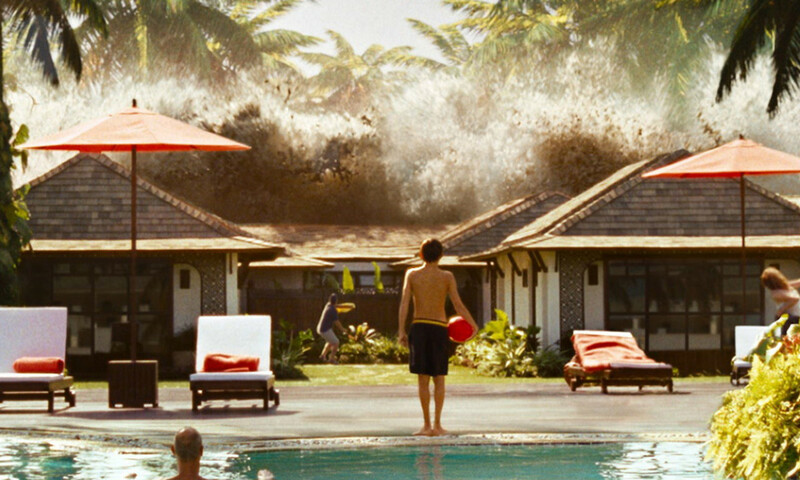 To bring Terabithia to life, rookie director Gábor Csupó incorporates visual effects of fantasy settings and creatures to mimic the teens imagination. Despite this fantastical elements, the story stays planted firmly on solid ground, anchored by the wonderful chemistry of Hutcherson and Robb. Their friendship feels real and tender, without resorting to forced teen-love drama. Sure, there's a sweet-yet-awkward hug at one point, but that's about it. This is a story about teen friendship, not love, and that friendship shines marvelously through their performances. Walking outside of their "kingdom", both teens have to face different personal challenges. 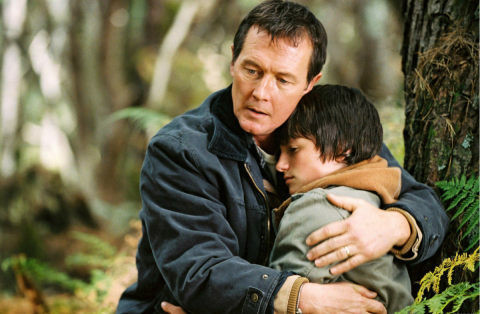 Jess' family is struggling financially, and his relationship with his father (Robert Patrick), isn't the best. Patrick plays the stern father magnificently, bringing humanity to the role where others could've just played it the stoic way. Mr. Aarons isn't a bad father. Just one who's struggling with so many challenges, which leads him to push his son towards more practical endeavors than art and drawing. Leslie, on the other hand, has two more free-spirited parents who encourage her to explore her talents, even if that means having no TV. But their devotion to writing make them neglect her from time to time. The other two most important characters that revolve around our two leads are Jesse's younger sister, May Belle (Bailee Madison) and his young music teacher, Ms. Edmunds (Zooey Deschanel). Like most older brothers, Jesse sees May Belle as a pesky, bothersome brat, even though she looks up to him. Madison's performance is remarkable, not only because of her age, but because of how well she does it. 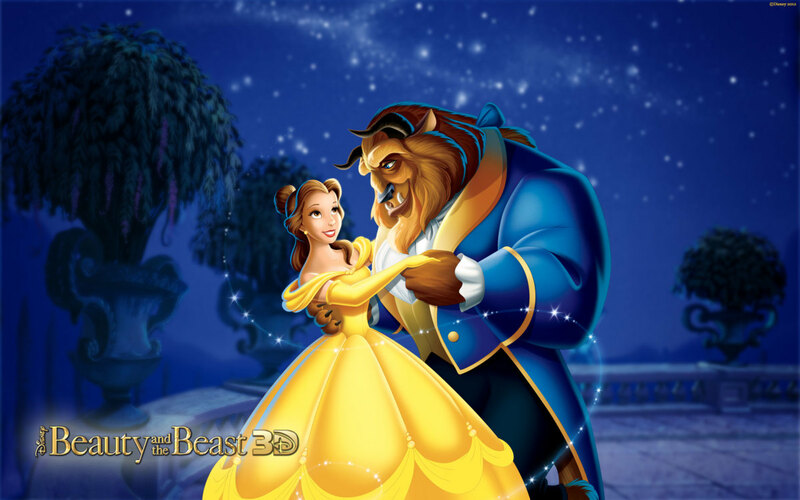 Her May Belle is charming and sweet, but still real and believable. As for Ms. Edmunds, Jesse finds himself smitten by her. She, on the other hand, sees Jesse's talents and encourages him not to let go of his dreams. Deschanel's role is small and not so demanding, but she still does a pretty good job. And her relationship with Jesse plays a critical role in the climatic events of the film. As the film reaches its final act, it takes a sharp turn from family-oriented teen-fare, into more powerful, dramatic grounds. What happens is certainly unexpected and abrupt, for anyone who hasn't read the book, but that doesn't mean it's not believable. It's just an event so heart-breaking, something that I never saw coming, that it literally felt like a solid punch to the gut. The way Csupo handles the crucial moments, and the aftermath, is perfectly honest and down-to-earth. Plus, it brings the film into a whole another level as characters attempt to cope with the situation. I've seen the film 4 or 5 times, and not a single of those were my eyes dry towards the end. Did you cry (or at least got a bit teary-eyed) while watching the film? John Hillcoat's adaptation of Cormac McCarthy's post-apocalyptic novel presents a grim future as a father and his son try to keep the fire of hope alive. Thanks for the comment, peachpurple! Thanks! prairie, I think the film is an excellent opportunity to teach kids to follow their dreams, whatever they are. I watched this movie with my grade six class, and they absolutely loved it. Great review! It makes me cry every time. Beautiful movie.